We are an expert team dedicated to offering employment law solutions to employers. At LawforEmployers, we provide pro-active employment support to businesses of all sizes. From offering advice on setting up employee contracts to being there if a claim is brought against you by an employee, we're here to support you. We will ensure that you always have they very best legal advice and representation; allowing you to focus on growing your business. Our employment law support is designed to protect your business both in the present and in the future. The ongoing support we provide guarantees that you will always have access to expert advice from a dedicated employment solicitor. We offer a range of packages designed to ensure that you can receive the tailored protection that you need. LawforEmployers is an expert team dedicated to offering employment law advice for employers. We work with businesses of all sizes, ensuring they have the legal and HR support they need. As a division of Farnworth Rose solicitors in Lancashire, we are regulated by the Solicitors Regulation Authority (SRA) and accredited by Lexcel. We act only in our client’s best interest by providing the highest levels of client care in every case we handle. Employment law is a constantly changing sector, with laws and regulations updated on a regular basis. Aiming to keep up to date with this yourself is time consuming and can quickly become an unwanted hassle. Steve Gee heads up our employment law team, an experienced employment law solicitor. Throughout his career Steve has gained unrivalled experience both in the legal field and within the manufacturing industry. Having spent several years working as a logistics professional at board level he has gained an in-depth knowledge of the employer, employee relationship from both an advisory and practical standpoint. 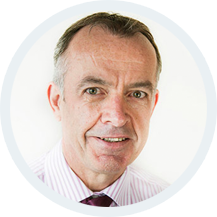 Steve specialises in advising employers in a range of fields including contracts of employment, disciplinaries, business reorganisation, redundancies, and HR support. No two businesses are exactly the same. Your employment needs will not be just like the company next door. The number of employees, type of staff, and the service you provide can have a great effect on your needs as a business. So it would be safe to say that your business needs employment law advice tailored to suit you. At LawforEmployers, we offer individual, pro-active advice for employers. This covers a wide range of areas from contracts of employment to disciplinary issues. When the correct procedures are in place, a happy workforce can help your business thrive. An employer’s guide to extreme weather: Can your staff take a snow day? What are the upcoming employment law changes in 2018?